I studied illustration in Manchester and debuted in London before skedaddling off to Japan for over 20 years, seeking the connection between Ukiyo-e and Ultraman. In Tokyo I worked on illustration for a wide variety of clients from advertising to editorial, and children's books for publishers in East and West. Now once more based in the UK. Most of my work is based around pen and ink drawing, either coloured traditionally in watercolour, or adapted digitally. Adapted from the version by Samuel Marshak. Trans. Sho Suzuki. author / illustrator – John Shelley. 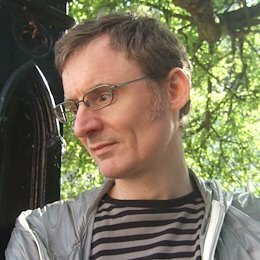 author – Robin Jarvis, trans. Masayuki Uchida. author – Hans Christian Andersen, trans. Yoichi Nagashima. Ed. Linda Jennings, Trans. Rika Nogi. Author – Jenny Nimmo, Trans. Kaoruko Tanaka. Midnight for Charlie Bone reprinted in English by Egmont UK as Lt Ed. illustrated Canadian edition, 2008.